Today the Library of Congress named Natasha Trethewey the 19th U.S. poet laureate, succeeding Philip Levine. Ms. Trethewey joins a long line of distinguished poets who have served in the position including W.S. Merwin, Kay Ryan, Charles Simic, Donald Hall, Ted Kooser, Louise Glück, Billy Collins, Stanley Kunitz, Robert Pinsky, Robert Hass and Rita Dove. 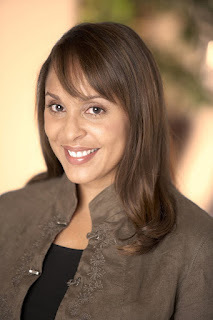 Natasha Trethewey is the Pulitzer Prize-winning author of three poetry collections, including Native Guard (2006), winner of the 2007 Pulitzer Prize in Poetry, Bellocq's Ophelia (2002), and Domestic Work (2000). Her newest collection of poems, Thrall, is scheduled to appear this fall. Ms. Trethewey is also the author of a nonfiction book, Beyond Katrina: A Meditation on the Mississippi Gulf Coast (2010). She is an English and creative writing professor at Emory University in Atlanta. Ms Threthewey was born in Gulfport, Mississippi, in 1966. She is also Mississippi's top poet and will be the first person to serve simultaneously as a state and U.S. laureate. Here's an audio clip from NPR that includes a reading by the new poet laureate You can also click here for more information.